You can't win a championship if you're not a super team. That's the prevailing wisdom in the NBA right now. 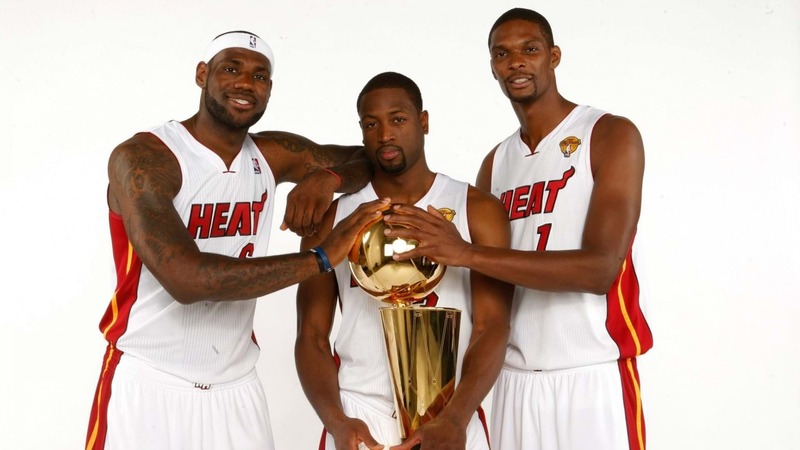 It was borne largely out of the big 3 that assembled in Miami when LeBron James and Chris Bosh joined Dwyane Wade at South Beach in 2010. It continued when LeBron teamed up with Kyrie Irving and Kevin Love back home in Ohio with Cleveland. Heck, even Kevin Durant got in on the action, joining Steph Curry, Klay Thompson and a ready-made superteam of sorts at Golden State. This off-season's been like no other in the NBA as franchises and weary owners make moves to try and stop the Warriors juggernaut. Did The Miami Heat Spark The Big 3 Trend? Some 100 players have changed addresses over the American summer, but it seems superstars attract, well other superstars. Houston acquired point guard immortal Chris Paul to assist ball magnet James Harden. Kyrie Irving escaped LeBron's shadow and bolted for Boston in a trade. And Indiana essentially gifted Russell Westbrook and Oklahoma City with Paul George. But the Thunder weren't done. Now they've snagged Carmelo Anthony from New York. Melo waived his "no trade" clause with the disfunctional Knicks for the chance to be part of another big 3 - this time in OKC. Barely a season on from losing Kevin Durant and Thunder fans finally have reason to believe they can upset the Golden (State) apple cart. Acquiring 10-time All Star and four-time Olympian Anthony might just be the carrot that keeps Westbrook and George in Oklahoma for the long run. The cost for landing 2 NBA superstars? Victor Oladipo, Domantas Sabonis, Enes Kanter, Doug McDermott and a 2018 second-round pick acquired from Chicago. Whether the pieces fit remains to be seen but there's no question this new "big 3" are all elite players in their own right. Something else not to be doubted is their hunger for a maiden NBA title. If the veterans are willing to make sacrifices they haven't made before, then the Warriors may have reason to worry.